Glaser et al. J Vasc Res. 2011 May 31;48(5):415-428. In addition to ethical dilemmas associated with embryonic stem cells, there are ample data demonstrating at administration of these cells causes formation of aggressive tumors called teratomas. One way in which scientists are trying to “tame” these cells is to reprogram them in the test tube. 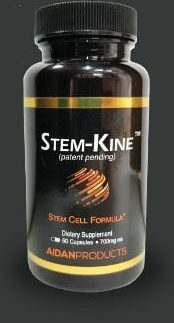 Conceptually if you can develop a stable population of cells in vitro, then these can be expanded and used clinically. 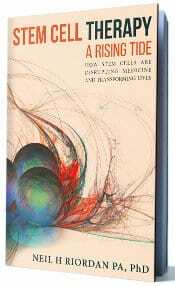 Still the issue comes up whether the embryonic stem cell derived cells have a higher predisposition to cancer. 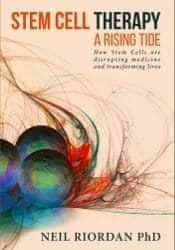 This indeed may be the case because it takes many years for an embryonic stem cell to become an adult cell naturally, whereas in vitro generated cells are “hyperaccelerated” to maturity. The possibility that in vitro generated cell products from embryonic stem cells have abnormalities is supported by research showing that cells derived from embryonic stem cells actually have a lower potential to stimulate the immune system as compared to equivalent tissue. In other words, cardiac cells generated from embryonic stem cells are less visible to the immune system compared to cardiac cells from an adult. In a recent study Glaser et al. Functional Characterization of Embryonic Stem Cell-Derived Endothelial Cells. J Vasc Res. 2011 May 31;48(5):415-428, scientists from the University of California Merced have used embryonic stem cells to generate blood vessel cells called endothelial cells. Endothelial cells are very important from a therapeutic point of view because they can be used to treat diseases of poor circulation. These include angina, limb ischemia and some types of heart failure. The scientists compared the biological activities of endothelial cells generated from embryonic stem cells with those of naturally occurring cultured mouse aortic endothelial cells. They showed that the embryonic stem cell generated endothelial cells produce less NO on a per cell basis, increased angiogenic sprouting and are more resistant to inflammatory signals. They also found that the embryonic stem cell derived endothelial cells possessed a higher propensity towards the venous endothelial lineage as compared to aortic endothelium. These studies suggest that it is still difficult to replicate generation of adult cells from embryonic stem cells.